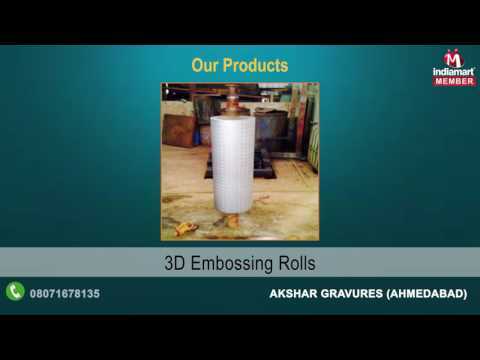 Established and started its operations in the year 2013, Akshar Gravures, is known for manufacturing and supplying the best quality of Mirror and Round Rolls. We offer a wide range of products such as Embossing Design Rolls, Printed Design Rolls and Cylinder Design Rolls. By using advanced machinery and quality assured materials, we manufacture the offered mirror and round rolls as per the industry laid norms and regulations. Their rich features such as perfect finish, robust construction, easy installation, resistant against corrosion, optimum strength and accurate dimension, make these mirror and round rolls highly demanded. Textile, paper and packaging industries are some of sectors where the offered mirror and round rolls find wide applications. Rendered by us at industry leading prices, the offered mirror and round rolls are available with us in various sizes and designs.